Rwandan authorities said that 714 churches and one mosque would be shut in Kigali for allegedly failing to meet safety and hygiene standards. 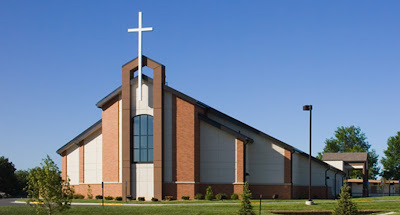 “Some churches conduct their worship services in shoddy and unclean structures, to the detriment of people’s health and safety,” said Anastase Shyaka, head of the Rwanda Governance Board, which monitors public and private organisations. “Cases of noise pollution have also been reported while some operate without the required operation permits,” he added. He said the shutdown which mainly affects Pentecostal churches — would go into effect Thursday. Most of the churches that will be closed are small, with congregations of hundreds of worshippers. The crackdown is also expected to affect churches outside the capital in the coming months. Church representatives criticised the move, saying authorities were being too strict. “Those that failed to implement a few requirements should be reopened and allowed to work while fixing the problems raised,” said Bishop Innocent Nzeyimana, president of the Churches’ Forum in Nyarugenge district, which includes Kigali. Starting a church in Rwanda requires a government certificate that expires after one year. Rwanda is also preparing a new law on the operations of faith-based organisations, which is likely to make it harder for new churches to be created. Some preachers accuse authorities of trying to control the message they send to their congregations, in a country often accused by rights groups of stifling free speech. When the law is passed, as expected this year, preachers will be required to undertake theology courses. Early this month, Rwanda suspended a Christian radio station for airing a preacher who delivered a “hateful” live sermon against women.